Susanne Wehr likes to play with reality and levels of meaning that can be discovered under the surface of the seeming reality of her works. Just as the goldfish or coy, a red-spotted Japanese carp, glides under the vibrating surface of the water, so is the symbolic meaning of the fish transported just below the surface in Far Eastern culture. 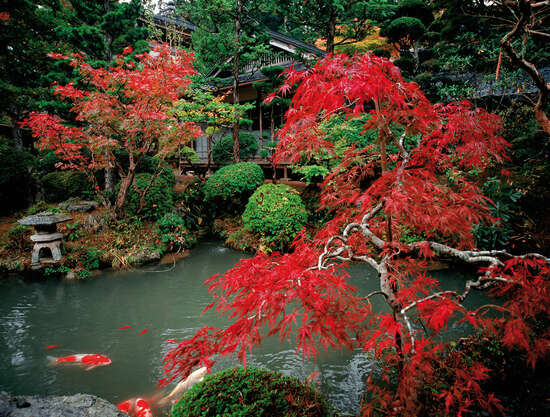 The coy in particular, which prefers to swim in pairs, stands for loyalty, fertility, and wealth. 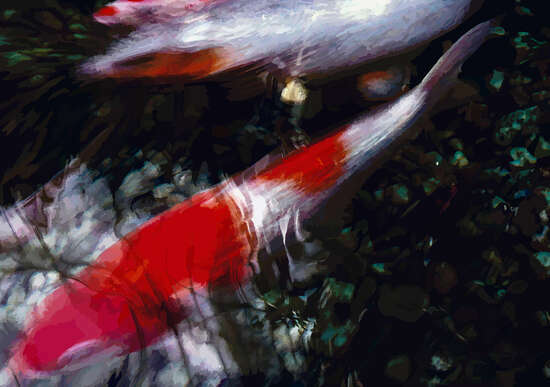 But Susanne Wehr’s images are not based on her own photographs of these fish. 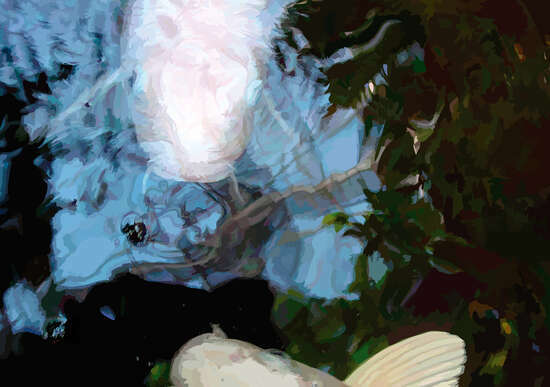 They are found pictures by unknown creators, which she meticulously deconstructs into clear color fields with the help of a computer illustration program and then reconstructs in an enlarged format. 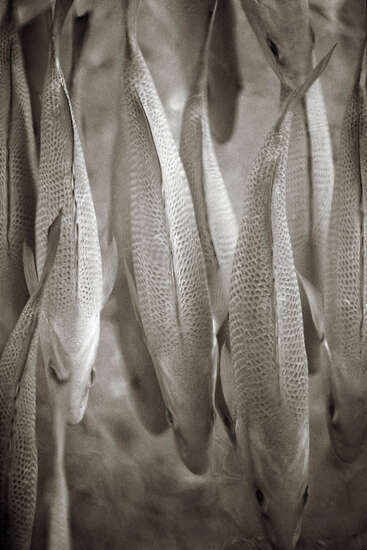 The fish’s emotional game was obviously important to the unknown photographer of the originals – so important that he or she observed them for long periods of time, lost in thought, taking a number of photos. These images have exactly the character that attracts Susanne Wehr. The comprehensive online archive volks-bild.com is the foundation of her work. Here she collects snapshots made by strangers, some of which she takes up in her large-format reconstructions of finely adjusted colors. 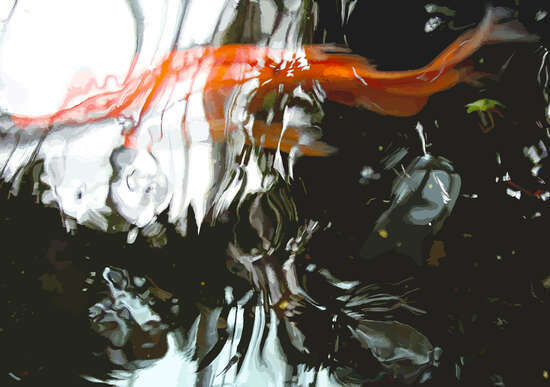 One can easily recognize in her photo-based work her origins in painting. She skillfully uses the formal principles of the classic arts to create new works perfected down to the finest detail. One of the main questions in contemporary photography theory is “whether reality is being represented or whether in fact the images replace reality,” as Hubertus von Amelunxen wrote in the forward to his fourth volume of Theorie der Fotografie 1980–1995 (Theory of Photography 1980–1995). It is precisely this question that the works by Susanne Wehr take up and indeed visualize. 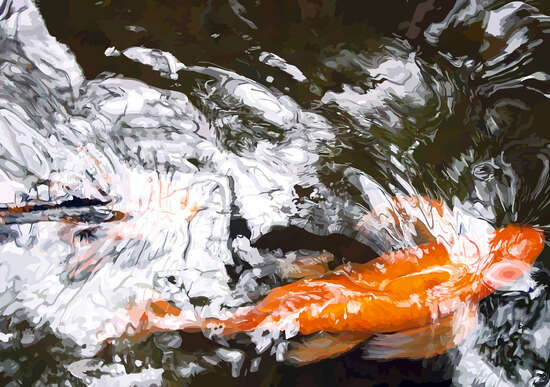 Her current series of goldfish images are initially based on photographs in the Volks-Bild-Archive. * The project revolves around happenstance finds, snapshots of unknown provenance. Technically speaking, the original photographs undergo an intricate and protracted manual process, in which they are transformed step by step into vector graphics. Unlike raster graphics, vector graphics are based not on a raster of pixels in which every image dot is assigned a color value. Rather they are based much more on an image description that defines the optical properties of the objects of which an image is composed in the form of lines and color fields. In a sense, the creation of vector graphics is similar to geometric modeling. This method and technique defines the personal and unique effect and the quality of Wehr’s works. The artist is not looking for the quick effects she could achieve through an image filter with a few simple clicks of the mouse; she often works on a piece for weeks at a time. It is an intensive process consciously contrary to the fast pace and transience of the photographic medium. In doing so, Wehr succeeds at a conscious return to and concentration on the very special and yet simple, indeed everyday and unspectacular single motifs of mass-media photography. In the selection of her images, Susanne Wehr proves an undeceiving eye and a sensitive sense for composition, color, and light. 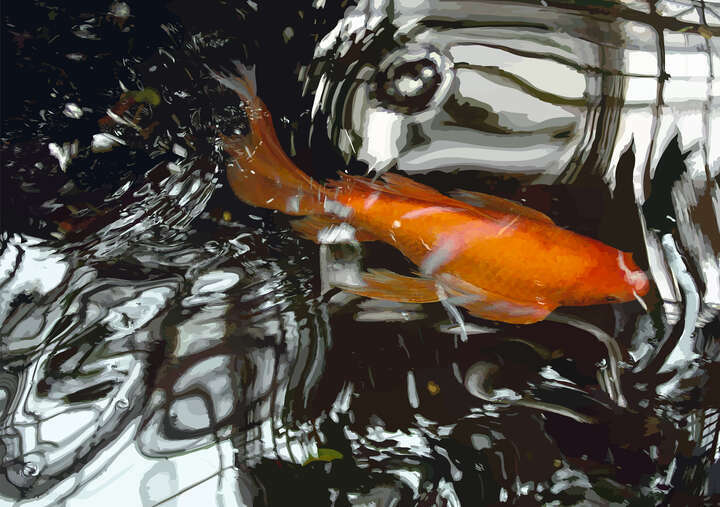 The photos she chooses are most frequently cropped snapshots of goldfish and coy, brightly colored domesticated ambassadors of the carp family that swim close to the water’s surface. The usually red and orange, red and white, or yellow fish therefore stand out against the primarily dark, almost black water. The mirrored reflections of light are like whitish-gray or light brown explosions of color. 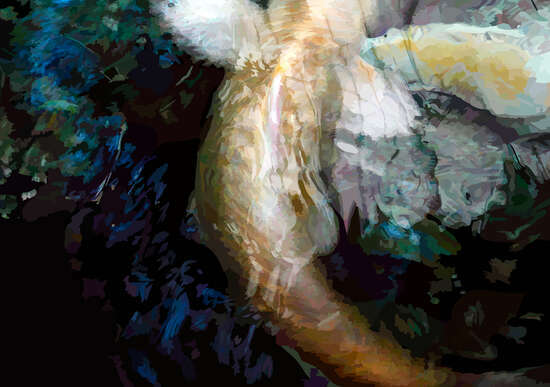 The images are incredibly atmospheric; the deeply symbolic ornamental fish entrance viewers with the play of colors. *Susanne Wehr has worked with anonymous photographs and slides for a number of years and launched the website www.volks-bild.com in 2007. Here she presents in organized selections the fruits of her research and finds from the large inventory of her archive of anonymous private photos. Born in 1960 in Bad Hersfeld, Germany; currently living and working in Berlin. The photo artist Susanne Wehr sifts through and organises the stockpiles and storehouses of photographs remaining worldwide, and she operates the internet website volks-bild.com (the “people’s photography” collection), a forum for anonymous amateur slide photography. Wehr follows closely the theoretical questions raised by photography and its widespread use among the masses, investigating the phenomenon of private amateur photography and its motifs, stereotypical content and image patterns. The interdisciplinary and networking projects published at the website volks-bild.com are particularly characteristic of her approach to anonymous and private photography. The works published by Lumas are minutely digitally retouched images based upon the anonymous photographs from her collection at volks-bild.com. Her latest interdisciplinary internet and exhibition project “personal-views.com” was selected as the German project in 2010 for the international exhibition series “Mutations III” hosted during the “European Month of Photography”.